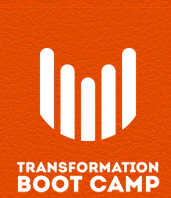 Start taking classes at Transformation Bootcamp and other studios! Energy, teamwork, motivation, results! That's exactly what the Transformation Boot Camp is all about! You won't find any drill sergeants, just a truly inspirational approach to fitness! Bring a water bottle, a pair of handheld weights (3-8 lbs for women, 8-12 lbs for men), and a mat. Dress for the weather! Please note that there are 3 locations -- Dallas, Lakewood, and Garland. Make sure you check the class page before! Mike was very welcoming and made sure I knew exactly what to do. This class was a great mix of cardio and strength, and I left feeling accomplished. I'll definitely be back! Mike's class is a great way to build strength and power in a positive and upbeat environment and also appreciate how now 2 workouts are the same! Mike is a great instructor who creates a variety of exercises in a positive environment. Best boot camp I have ever attended. Fun and challenging military-style workout. Loved that it was outdoors! Mike was one of the best instructors I have seen. Very well run and supportive group for all levels. Combination of structure and ability to modify workouts as needed.